In its brief history, Facebook has made social networking a worldwide phenomenon and changed the way we communicate today. In 2012, the social site has big plans for what could be its biggest year yet. Mashable.com recently offered predictions for Facebook’s fast-growing future. 1. The Impending IPO – The planned public offering has sparked buzz about a $100 billion valuation that could make this one of the biggest American IPOs of the decade. Despite the anticipation, investors are wary of social media IPOs that could ultimately sabotage the offering’s success. 2. Business Brawls – Facebook will continue its fights with many of the world’s largest companies, including Apple, Amazon, eBay, and Google. 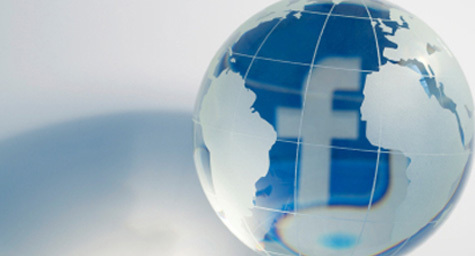 These digital conflicts involve consumer services, mobile space, and advertising formats as Facebook tries to assert itself as a competitor among these global leaders. 3. The Outlook for Timeline –Facebook’s recent changes to the design of its profile page was intended as a way to facilitate visual storytelling. With the site’s acquisition of Gowalla, Facebook gained a team of design-savvy developers who may inspire additional functionality improvements that will help users tell their stories. 4. Becoming a Media Destination – The launch of new media-centric features has many speculating that Facebook wants to command how users share and search for media on the Web. Realizing that social recommendations are driving the direction for all online activity, Facebook wants to harness as much media as possible to maximize its collection of sharable data. 5. Zuckerberg’s Potential as the Next Steve Jobs – Facebook founder Mark Zuckerberg has publicly called Steve Jobs a mentor and friend. Now, many are wondering if this young visionary can follow in his footsteps and become the next innovator of our time. Both are renowned for their uncanny understanding of what consumers want and have the remarkable ability to fulfill these needs. Facebook faces a lot of exciting developments in 2012, and only time will tell if the social networking site can maintain its dominance in our increasingly digital world. To discover how the latest social media strategies can benefit your business, contact MDG Advertising today.